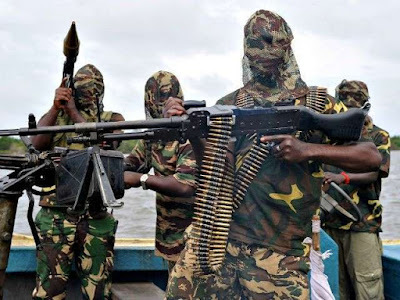 After months of keeping to the ceasefire they agreed with the Nigerian Government, the Niger-Delta Avengers has promised to resume hostilities with the Nigerian Government and cripple Oil production in the country. This much was revealed in a statement on their website this Friday afternoon. The group said it would resume their attacks any day from now. They blamed the Nigerian Government for the current situation accusing them of being insincere with the peace talks and agreement they had with the Niger Delta. The statement was signed by their spokesperson, Mudoch Agbinibo, who specifically named Minister of Transport, Rotimi Amaechi as one of those disrupting their agenda. Although the group haven't launched any attack this year, they have promised to resume their attacks on Oil and gas installation in the Niger- Delta.